Yet another brilliant episode of Ranjha Ranjha Kardi which clearly did not come as a surprise. And why would it, considering how the last 13 episodes have rolled out in terms of keeping the plot real as much as possible with fine writing and directing skills of the maestros behind this drama serial, it’d be a shame to not applaud their hard work. So, what really happened in this episode? Well, in a nut shell, we all are aware how Bhola is supremely fascinated by his wife, but she detests him. However, in order to give derive the much needed “dil ka sakoon” she will pay heed to Amma Janate’s advice and perhaps work on building a life for herself as shown in episode 14. 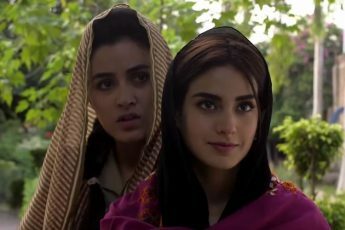 Episode 13 brought a twist into the show as we saw Rizwana, out of spite and anger, steals from her bhabhi, only to realize in this episode that she’s made a blunder once Fehmida (Asma Abbas) creates a hue and cry. Everyone’s being interrogated, however Nusrat realizes that his wife has something to do with it. Upon confronting her, she confesses and expresses the jealousy she felt for Fehmida’s mometary joy. Keeping in mind that both the husband and wife don’t share the same loyal sentiments as Fehmida, they blame Bhola for stealing from his mother. 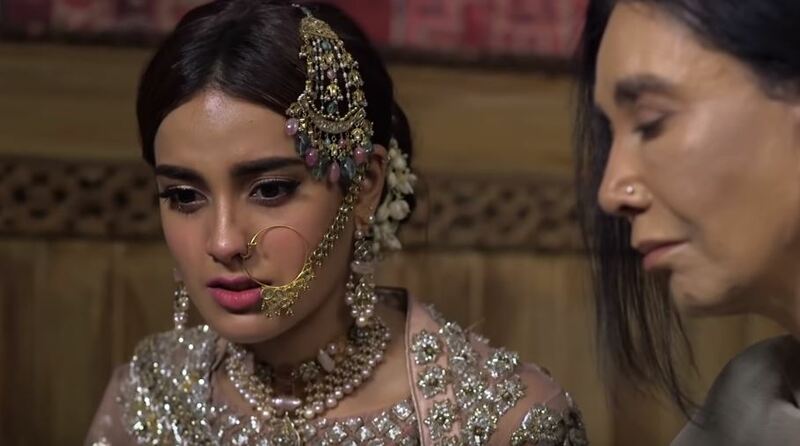 Asma Abbas’s rona dhona was swift and went with the flow as she reprimanded her son and reacted throughout, but we thoroughly enjoyed Munazza Arif as she faltered with her guilt and handled the situation with her husband. Her expressions were flawless. Whilst Rizwana was figuring out a way of the mess she created after stealing from her bhabhi, Amma Janate, knowing Noori had a past, accused of her theft, which reciprocated in a stunned and bewildered Noori. Zaib Rehman through her silent and authoritative character who only wants things to be right opens a door to a deeper and tight-knit bond between her and Noori. She not only feels sorry for her, she genuinely cares for her and beautifully expresses it by being there for her when she holds Noori’s hand tightly as she is being poked and prodded by Bhola on their Valima. And Noori’s blind trust on Amma Janate goes to show that she is open to learning from her mistakes and is desperate to seek a life of contentment. We just love how smartly Amma Janate advises Noori with real world examples and a greater understanding for the good of anyone. The way Bhola was gaping at Noori on their Valima showed how terribly captivated he is by her beauty and in the scene in the bedroom where he was praising how beautiful Noori was a sweet moment of innocent love. However, Noori doesn’t feel that way towards Bhola because she despises him for his unhygienic mannerism amongst other things so she doesn’t like it when he touches her. Amma Janate and Fehmida’s talk has given way to new chapter for Noori and Bhola because like every mother, even though Fehmida knows her son’s faults, she wishes a better life for him and therefore worries when Noori avoids him. So when Amma Janate tells Noori that she needs to accept things by letting go things that hold her growth as a person especially after what she’s done in her past is one of the light bulb moments for Noori and some excitement for us to look forward to. Interestingly Noori regards Amma Janate’s advice and reluctantly takes the first step towards Bhola by doing what he had asked her to do in episode 13, “apnay shohar ki tangain dabao”. The poignancy in Bhola’s eyes as he tells Noori that he wishes that she spends more time with him and the moment of truth for Noori is a beginning of a new chapter for these two! Episode 14 was engaging with its tender and poignant moments between the protagonists and superbly performed by all the actors. Kashif Nisar and Faiza Iftikhar have given the narrative of each artist a deeper understanding of everything that goes around them and they repay in the form of performances that are great. This episode exuded a great deal of bravado and and flight for Noori and Bhola and you, against all odds, secretly hope for a miracle to happy so everything ends well!